Need to protect your boat and the family cars from the elements? Ideal for fishermen and boating enthusiasts, this featured detached garage plan may be the perfect solution. Offering 896 square feet of sheltered parking space, this 3-car garage delivers two standard bays for the family cars and an extra deep bay for storing your boat and/or trailer. Three overhead garage doors, two covered service entries, and a 12’ ceiling are sure to surprise you. Furthermore, the exterior is just as appealing as the interior offering a façade that will neatly blend with many Craftsman homes and even some European designs. 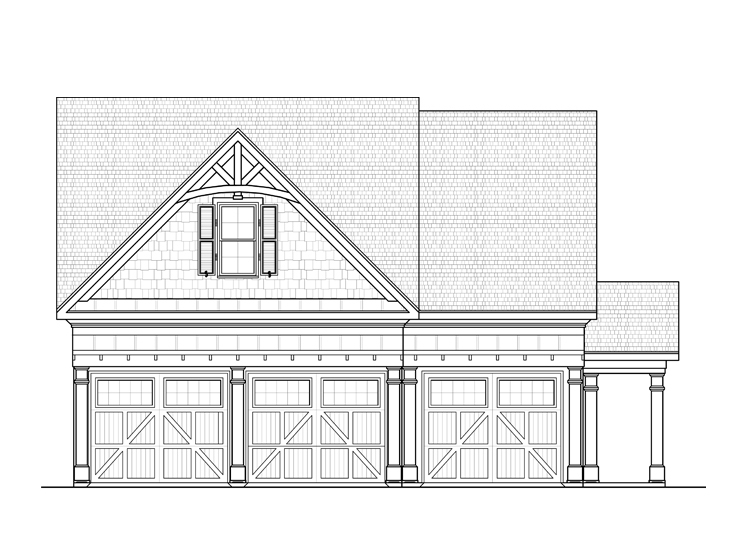 Click here to check out this featured two-car garage plan with attached boat storage bay to view floor plans and extra details. If you’d like to view more plans like this one, please browse our entire collection of boat storage garage plans.